There has been a lot in the news recently about the increasing amount of homeless people in our country, as well as public backlash against the destruction of natural habitats for new property developments, like building on green belt land or the practice of netting trees and hedgerows to stop animals from nesting there. In discussions and social media comments sections across the UK, these two subjects collide as arguments erupt about whether we sometimes have to put the needs of vulnerable people over “a few birds and hedgehogs” in order to solve a growing problem. Which would be a serious moral dilemma if it wasn’t for one thing. Our housing problem isn’t caused by a lack of houses. Nowadays housing is seen as currency and an investment rather than the basic human requirement that it is. Shelter is literally right there on the very base level of our hierarchy of needs, along with food and water. But capitalism tells us that a small handful of people can have shelter they never use all around the world, while someone else gets a shop doorway and will use a wrongly interpreted version of survival of the fittest to justify this inadequacy. I’m going to use the Lake District as an example, as it is ideal for several reasons. I grew up there, I grew up in council housing there, it has a housing problem and there is lots of beautiful green space and wildlife which make it so desirable. Social housing has always been scarce in this part of Cumbria. Even more so after the ‘right to buy’ schemes brought in by Thatcher in the 80’s lead to tenants buying up their council houses as they did across the UK. You can’t blame them. For many on low wages this was their only chance to realistically get on the property ladder and I’m not here to make anybody who bought their council home feel guilty because this isn’t their fault. You would have been mad not to, particularly as the mortgages worked out cheaper than the rent that some tenants were paying. For while the Lake District is seen to be an affluent area, it relies on low waged hospitality workers which plays a large part of the tourist industry. 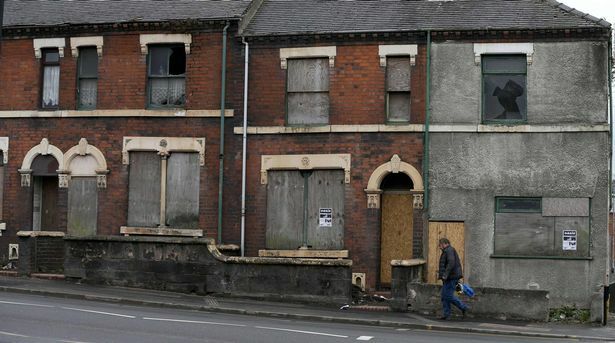 Many of those workers live in shared houses or staff accommodation. Some have been lucky enough to be allocated the little social housing stock that remains, but most will be paying large rents from the private sector. I haven’t lived in the area for some time, but go back regularly to see family and the ever dwindling list of friends who are still able to live there. A few years back I became aware that some new housing was to be built on a small strip of land. It caused concern for residents surrounding it as it was so near to fields with grazing cattle and was practically being built over a stream which was home to several species of animals. They were fobbed off by developers who hinted to them that it was being used to build ‘affordable’ housing, which of course is going to make any decent local feel guilt for opposing, knowing how big an issue that is. Because it’s notoriously difficult to get on the housing ladder in the area unless you are wealthy, or have inherited it. Many properties that go on the market are bought under buy to let schemes or snapped up as second homes by wealthy buyers who only visit there for a few weeks out of the year. If you are a low waged hospitality worker you will struggle to save for the deposit required. So the ‘affordable’ homes were built. I walked past them the last time I was there. The cars on the drive cost more than most people I know would get as a mortgage loan. I’ve used the Lake District as just one example, but ordinary people across the UK are being made to feel like NIMBY’s (Not In My Back Yard) whenever they raise concerns about building on green space land and this is about the only time you will hear politicians express concern for the homeless as they wring their hands and chastise us for not allowing building on land for new housing that homeless people will never be allowed to access anyway. People end up homeless for lots of reasons. Because they lost their job. Because their mental health declined to such an extent that they could not sustain a tenancy and they were too far down the waiting list to receive support on time. Because they had to flee for their own safety only to find there was nowhere to run to. Because to get into a private rent you need upwards of £700 for deposit and fees and that’s in one of the cheaper areas. Because London is a playground for the rich. We instead need policies that help build new homes without destroying our green space, such as stopping the practice of hoarding land suitable for building until it goes up in price. The relentless attack of austerity needs to end. Not only to give back services that help people sustain tenancies but also fully fund the planning departments that can effectively ensure that any new housing built is to standard and hold developers to account. Corporate greed enabled by a government that panders to it has caused our housing crisis and is the very same thing that threatens the habitat of our environment and wildlife. We do not have to chose between the environment and social welfare, it is another lie sold to us to make us argue with our own conscience rather than cast our gaze on the common enemy.